In 1985, the entire world stood on its ear with the release of the AIR JORDAN—a white, red and black fashion statement that revolutionized the athletic footwear industry. Much like Michael Jordan in his rookie season, the original AIR JORDAN was the beginning of something legendary. From Rucker Park to Park Avenue, from Hollywood to Wall Street, the AIR JORDAN sneaker has consistently been the most sought after athletic luxury basketball shoe. Sneaker enthusiasts have credited the shoe as the impetus behind “sneakerhead” collectible market. 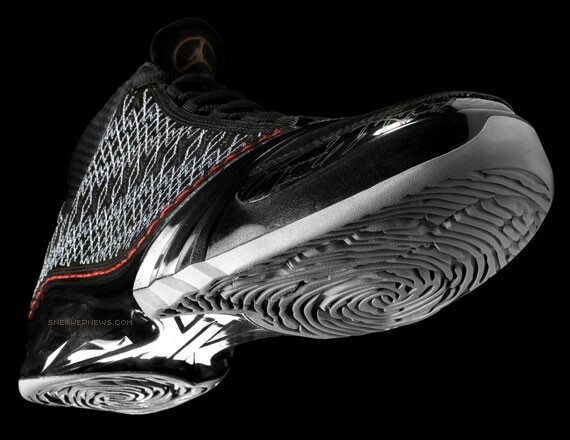 Twenty-three shoes later, the Jordan Brand introduces a product truly worthy of being called the “Greatest Basketball Shoe Ever,” the AIR JORDAN XX3, is poised to tilt the world once again. For each iteration of AIR JORDANs created, inspiration is everything. The F-22 stealth fighter jet served as inspiration for the XX2. The muse behind the design of the XIII was the Black Panther and the XIV paid homage to the Ferrari 550 M. The AIR JORDAN XX3 simply embodies the belief held by Michael Jordan and Tinker Hatfield, Vice President, Innovation Design & Special Projects, that the AIR JORDAN XX3 must be the best ever. To accomplish this, new technological advances were built into the shoe to create the first Nike Considered, high-performance basketball shoe in NIKE, Inc. history in a beautiful handcrafted silhouette the world has ever seen. In the spirit of sustainability, the AIR JORDAN XX3 is the first basketball shoe for Nike to embrace the Nike Considered design ethos, where details in the development and design of the shoe seek to reduce waste and allow for the use of environmentally preferred materials wherever possible—all without compromising athletic performance. The Nike Considered design ethos is one of several company-wide corporate responsibility targets that NIKE, Inc. has implemented to sustain long-term growth and innovation. 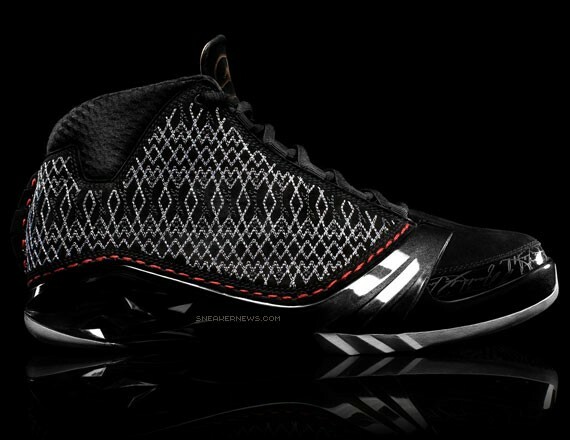 • AIR JORDAN XX3 is the first basketball shoe in Nike’s history to be designed according to Nike Considered ethos. 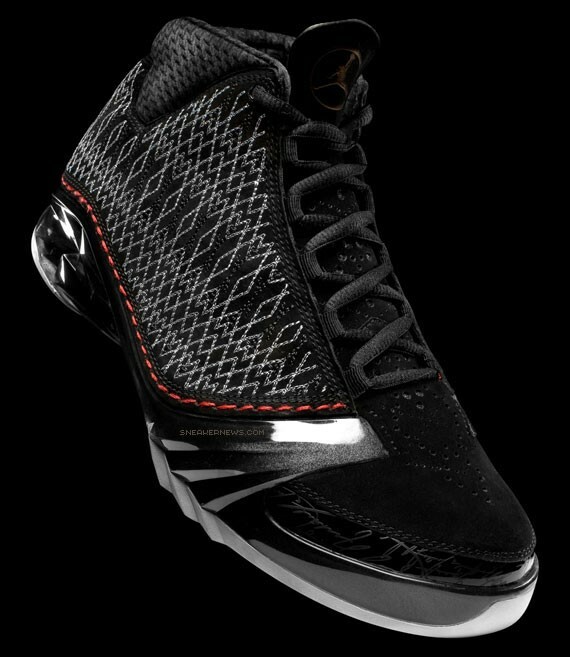 • The design of the AIR JORDAN XX3 minimizes waste and use of solvent based cements. • Automotive quality painting process on the backside of the Thermo Plastic Urethane (TPU) chassis is completed by an efficient robot arm to maximize the quality, consistency and durability of the paint and component. • Outsole uses environmentally preferred rubber that reduces toxics and incorporates Nike Grind material from footwear outsole manufacturing waste. • A newly engineered, patent-pending, stitching machine stitches the upper in 3-D form. • Dual density sock liner. • Internal dual density slow recovery foam around the heel conforms to foot shapes to create a more custom fit. • One shot compression molded phylon midsole. • Full length sleek internal bootie maximizes comfort while complimenting the sleek profile. • Nu-foam collar/tongue lining package for sleek low profile comfort. • New quilted pattern molded sock liner that provides quality arch support.provides quality arch support. • Reinforced quarter panels to form and hold the exact shape of the last to provide the best fit possible. • Breathable tongue allows air to escape helping to keep the foot cooler. • The upper is bladder pressed on the last two times during the construction to form the upper shape exactly to the last shape. • Full length Zoom Airsole unit for superior cushioning. • Carbon fiber/acrylic weave shank plate adds structure and support in key areas. • High performance TPU chassis built for stability and support. • Light weight – 15 ounces. • One of the lowest midsole profile thickness made for a basketball shoe (19mms in the heel and 9mms in the forefoot) allowing for players to be as close to the ground as possible and feel the court. • The shank plate is inserted into the TPU chassis mold and the TPU is directly shot over the entire plate. This process is the most efficient for production because it enhances durability, reduces waste, and minimizes our solvent cement usage. It is a new innovation for performance footwear. • Advanced cushioning system contains a low profile IPS system with a large pillar in the heel combined with a low profile modified IPS in the forefoot. • An imprint of Michael Jordan’s finger print traction pattern on outsole. • Precise stitching to reveal external heel moccasin stitch. • Michael Jordan signature on toe cap. • High performance TPU chassis. • Michael Jordan thumbprint on back of tongue lining. • Handcrafted MJ stitch pattern offers beautiful detailing and function.